Accepting Student Scholarship Applications for SRNT Conference! Not many of us don’t end up going to one of the conferences that has a lot of valuable information about tobacco, Society for Research on Nicotine and Tobacco (SRNT), because some of it is pretty dry science — but there’s a lot of good information there. So to help make sure we get the latest news without having to sit thru all the presentations…. 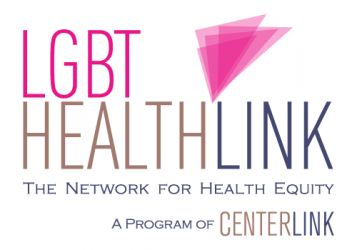 the National LGBT Tobacco Control Network would like to announce its 2nd annual Blogging Scholarship to SRNT! If you think you’d be a good person to go to SRNT, and blog about all the latest and greatest you hear about so we can all feel the burn, then — come on down. The Network will pay your way, guarantee you as much caffeine as you need, and even set you up with some experienced researchers to kinda give you the inside track while you’re there. All you have to do is keep a daily blog of the happenings, amuse us, inform us, just don’t bore us! Check out what last year’s recipient did! This opportunity is open to STUDENTS ONLY… and of course people from traditionally underrepresented populations are triply encouraged to apply. All scholarship applications will be reviewed by a tiny panel of judges to determine this years recipient. Applications are being accepted for only a couple days! You have until January 27th, 5 pm EST. So hurry up already! SRNT will be held in Baltimore MD, Feb 25-27. How to apply? Send an email telling us in a BRIEF Paragraph or so, why you are the best person to blog your heart out from SRNT, and the best person to give anyone interested in LGBT tobacco all the inside dope. Excessively long application emails will be read last. Please put BLOGGING SCHOLARSHIP APPLICATION in your subject line. Next Post Call For Action: Let Our Inequalities Be Heard!